The Fiat Industrial Group reported 2012 revenues up 6.2% to €25.8 billion, with continued robust performance for the Agricultural Equipment business driving top-line growth. Agricultural and Construction Equipment (CNH) posted revenues of €16.1 billion, an increase of 15.5% over the prior year (+6.7% in US dollar terms), as solid global demand for Agricultural Equipment more than offset the negative effects of the more difficult trading conditions in the Construction Equipment segment. Net sales for the Agricultural Equipment business were up 20% over 2011 (+10% in US dollar terms), driven by increased volumes, positive net pricing, and favorable product mix. Worldwide Agricultural Equipment market share performance was in line with the market for both tractors and combines. For the Construction Equipment business, net sales increased 6% (-3% in US dollar terms), as the modest industry recovery in North America did not offset the continued demand slowdown in the other geographic regions. CNH’s worldwide Construction Equipment market share was stable, with gains in Latin America. Trucks and Commercial Vehicles (Iveco) reported €8.9 billion in revenues, a 6.7% decline over 2011 reflecting further deterioration in economic conditions in several major European markets and weaker demand in Latin America. Total deliveries (including buses and special vehicles) decreased 10.7% year-over-year to 137,028 vehicles, with the light segment down 11.8%, medium down 21.6% and heavy down 6.0%. By region, deliveries were down 21.1% in Western Europe and 21.8% in Latin America, but up 21.9% in Eastern Europe and 36.4% in Rest of World markets. The Powertrain business (FPT Industrial) closed the year with revenues of €2.9 billion, representing an 8.9% decrease over 2011 that was attributable to the contraction in market demand in the road diesel engines. Trading profit came in at €2,079 million for 2012, an increase of €393 million (+23.3%) over €1,686 million in 2011. Group trading margin was higher at 8.1% (6.9% for 2011), with both CNH and FPT Industrial posting strong gains and Iveco holding comparable trading margin despite the negative effect of unit volume deliveries. CNH recorded a strong performance, with trading profit increasing 36% to €1,566 million for the year (€1,154 million for 2011) and trading margin at 9.8% (8.3% for 2011). Increased volumes and positive net pricing in both segments compensated for increases in selling, general and administrative expenditures and R&D expense, primarily related to significant investments in new products and Tier 4 engine emissions compliance programs. Iveco closed the year with a trading profit of €469 million (€490 million for 2011). The decrease over the prior year, which was primarily attributable to the reduction in volumes, was largely offset by benefits deriving from cost reduction measures. Trading margin was slightly up over the prior year at 5.3% (5.1% for 2011). FPT Industrial reported trading profit of €142 million, compared with €107 million for 2011. Despite the contraction in volumes, there was a significant improvement in trading margin (+1.5 p.p. to 4.8%) resulting from efficiencies achieved during the year and the absence of the one-off costs recognized in 2011 in relation to production start-ups. Operating profit was €1,862 million for the year, an increase of €233 million over 2011 (€1,629 million). The €393 million increase in trading profit was partially offset by higher net unusual expenses (€217 million versus €57 million for 2011), which primarily consisted of €167 million in restructuring costs for Iveco and a €38 million loss realized by CNH in connection with the termination of its strategic alliance with Kobelco. Net financial expense totaled €458 million in 2012, compared with €546 million for 2011. The improvement was primarily attributable to a reduction in funding costs and lower foreign exchange losses. Profit before taxes €1,485 million, compared with €1,169 million for 2011. The increase primarily reflects a €233 million improvement in operating profit together with an €88 million decrease in net financial expense. Income taxes totaled €564 million (€468 million for 2011) and mainly related to taxable income of companies operating outside Italy. The effective tax rate of 38% was in line with expectations. 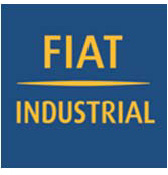 The Fiat Industrial Group closed 2012 with a net profit of €921 million (€701 million for 2011). Profit attributable to owners of the parent was €810 million in 2012, compared with €624 million for the same period in 2011. Equity attributable to owners of the parent of Fiat Industrial at December 31, 2012 was €4,935 million compared with December 31, 2011 (€4,555 million). Consolidated net debt was €15,994 million at December 31, 2012 (€14,549 million at December 31, 2011). Net industrial debt totaled €1,642 million at December 31, 2012, an increase of €403 million over year-end 2011 (€1,239 million), with cash flows from operating activities more than offset by the significant level of capital expenditure, mainly related to capacity expansion for CNH and engine emissions compliance programs. In addition, there were dividend payments of more than €0.4 billion for the year (including €0.2 billion distributed to the minority shareholders of CNH Global N.V.). (1) Includes the fair value of derivative financial instruments. Following completion of negotiations between Fiat Industrial and the Special Committee formed by CNH Global N.V.’s board of directors, on November 26th, Fiat Industrial and CNH Global (“CNH”) announced that they had entered into a definitive merger agreement. Under the terms of that agreement, Fiat Industrial and CNH will merge into a newly-incorporated Dutch company (“NewCo”) with Fiat Industrial shareholders receiving one NewCo share for each Fiat Industrial share held and CNH shareholders receiving 3.828 NewCo shares for each CNH share held. As also established in the agreement, on December 28, 2012, CNH paid minority shareholders a cash dividend of $10 per CNH share. Based on market values on November 16, 2012, the trading day prior to the announcement of Fiat Industrial’s final offer, the cash dividend together with the 3.828 NewCo common shares offered for each CNH share represents a 25.6% premium over the implied value of Fiat Industrial’s initial offer. In addition, CNH minority shareholders benefited from the dividend being paid prior to completion of the merger. The transaction will be subject to the customary closing conditions, including a cap on the exercise of withdrawal rights by Fiat Industrial shareholders and opposition rights by Fiat Industrial creditors of €325 million in aggregate. The merger is also subject to the approval of shareholders of both Fiat Industrial and CNH. As 88% shareholder of CNH, Fiat Industrial has stipulated that it will vote its CNH shares in favor of the merger. NewCo will adopt a loyalty voting structure. Shareholders of each company that are present or represented by proxy at the respective shareholder meetings to approve the merger transaction, and continue to hold their shares until the effective date of the merger, may elect to receive common shares registered in a special segment of NewCo’s share register entitling them to two votes per share. Following completion of the merger, a loyalty mechanism will also exist for new shareholders who may earn a double vote by holding the shares continuously for a period of at least three years. The purpose of this structure is to facilitate a stable shareholder base and reward long-term share ownership, while allowing the Group enhanced flexibility to pursue strategic opportunities in the future. On November 12, 2012 Fiat Industrial S.p.A. announced establishment of the Group Executive Council (GEC), the highest executive decision making body outside of the board of directors, with the objective of enhancing the operational integration of Fiat Industrial S.p.A. and CNH Global N.V. In October, Iveco and Larimar Group, a leading South African public transport operator and bus bodybuilder, signed an agreement for establishment of a joint venture for the manufacture of trucks and buses in South Africa. The agreement underpins Iveco’s strategy of manufacturing globally, while tailoring products to local needs. The new company, to be held 60% by Iveco, will assemble light, medium and heavy commercial vehicles, as well as front-engine and low-floor city buses, at its plant located in the suburbs of Pretoria. Production is scheduled to commence in the second half of 2013 with the Eurocargo range. On December 26, 2012 as a result of an ongoing strategic review of its construction equipment business, CNH announced that it is moving into the next phase of its business relationship with Kobelco Construction Machinery Co., Ltd. The non-exclusive licensing and supply agreements that took effect January 1, 2013 will allow CNH to pursue a global strategy leveraging the industry-leading technologies and resources available to it as part of the Fiat Industrial Group. The new business relationship includes the unwinding of all joint ventures between the parties.